Before applying the applicant must be clear that for which type of visa he wants to apply or going to apply. There is a number of visa options that are available today. This visa allows that applicant to travel in any Schengen state with the stay of 90 days within the time period of six months. According to the purpose of applicant traveling the Uniform Schengen Visa applies to all of the two categories, “A” and “C”. Category A comes under Airport Transit Schengen Visa: An Airport Transit Schengen Visa is a permit designated for travelers that have to change flights at a Schengen airport. Category C is for a Short-term visa which allows the visitor to visit in a Schengen area for some period of time depending on the validity of his visa. This visa allows the applicant to visit that Schengen state which has issued the visa. He is not allowed to visit any other state of Schengen countries. This kind of visa is for those who are studying, working or residing in one of Schengen country. This visa is issued to those who are in need to live in a Schengen country or have some purpose to reside there. The next thing is the applicant have to schedule an appointment with the embassy his nearby. The appointment for the embassy can be taken online on the VFS websites or by visiting the VFS centers. The Schengen visa process takes up to a minimum 2 weeks to complete and the embassy may take a further 10 days to contact you. Complete the application form and submit it with all the required and necessary documents. Attend the visa interview: The embassy verifies all your documents, after that, a face-to-face interview will be scheduled. They will ask you questions regarding your reason for the visit, the duration of the visit, places on the itinerary and so on. Provide biometrics: After the visa interview is done, the embassy official will take your biometrics as a record of identification during your travel. About 10-15 days after the visa application process, the embassy will send your visa by post if your application has been accepted. 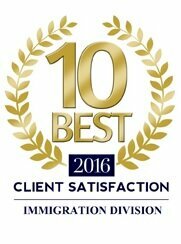 Would like to discuss your Immigration eligibility? 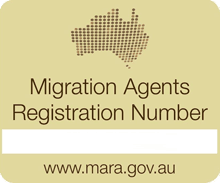 Need further information on your Visa Application?